Plan ahead to puppy-proof your house to make it safe for your new puppy. It’s a cliché because it’s true: Dog is man’s best friend, and if you’re an animal lover, there are few things more exciting than bringing home a new puppy. New pups are an endless supply of love and laughter, and getting to know your pet’s personality is all part of the fun of developing a bond. However, new puppies are notoriously curious, adventurous and sometimes downright mischievous, so it’s crucial to prepare. If you plan to make your house safe for your new puppy, both you and your new pet will live happier lives. A favorite pastime of puppies has to be eating anything and everything they can find. For this reason, it’s important for owners to take the time to put their dog’s food, medicine and supplements into hard-to-open containers, like plastic bins, and to carefully store these items — along with human food, vitamins, scented bath or beauty products and cleaning supplies — in hard-to-reach places. Using child safety drawer and cabinet locks is a fast and easy way to prevent your new puppy from opening any cabinets while you’re away, and storing anything too tempting on high shelves ensures that your dog will not be able to reach them. Even if you become a pro at storing food and other items out of your dog’s reach, we all drop food, lose pills and spill beverages from time to time. To prevent your pup from eating anything that will make him sick, vacuum at least once a week as a backup safety plan to get rid of anything you or your dog may have missed in the carpet, under the furniture or in the corners of the room. 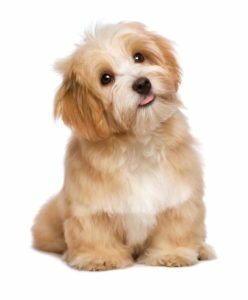 Unless your new dog has an allergy or otherwise requires a very specific diet, it’s common for pet owners to treat their dogs to scraps of human food every now and again. Feeding treats may feel like an effective way of bonding with your new puppy or persuading him to learn a new trick, but it’s important to research what foods are safe for dogs to eat. 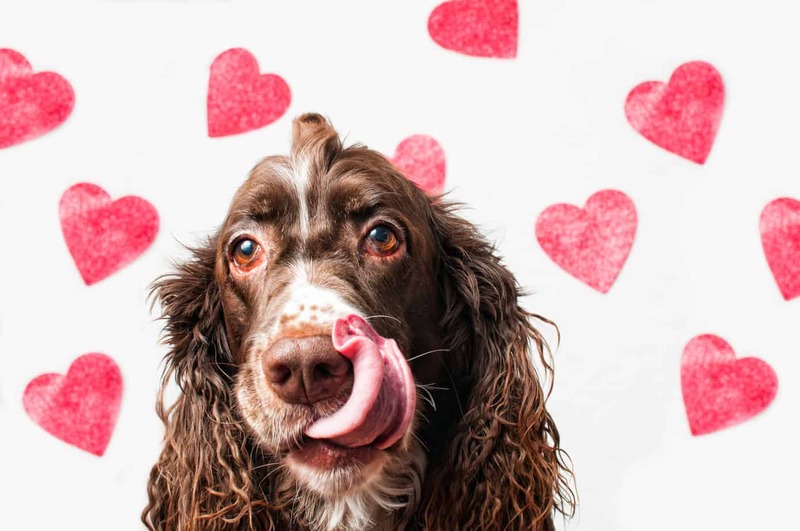 Many food items that you might not expect to be harmful — like onions, raisins and garlic — are toxic to dogs and could be subtly mixed into your food without you realizing it, like in stewed meats or sauces. There are plenty of human foods that are safe to feed dogs, from bananas to carrots, but pet owners should be sure to read up on what snacks are safe to share with their dogs before letting them have some leftovers. Puppies love to chew on things, and dangerous items like electrical cords are no exception. What your puppy sees as a harmless behavior could lead to serious injury if she bites down on the wire. Making sure the cords are out of reach or covering them inside PVC pipes or cord protectors explicitly made to protect pets can keep puppies safe and give owners some peace of mind. As pretty as they are, fabric curtains or drapes that drag along the floor easily attract unsightly dog hair and are prime real-estate for stains. For a puppy-proof home with beautiful window décor, it’s best to go with blinds. However, dog owners should be sure to keep blind cords secured and out of reach at all times, as these cords pose very serious strangulation risks for dogs, and their plastic ends can be easily chewed off and choked on. 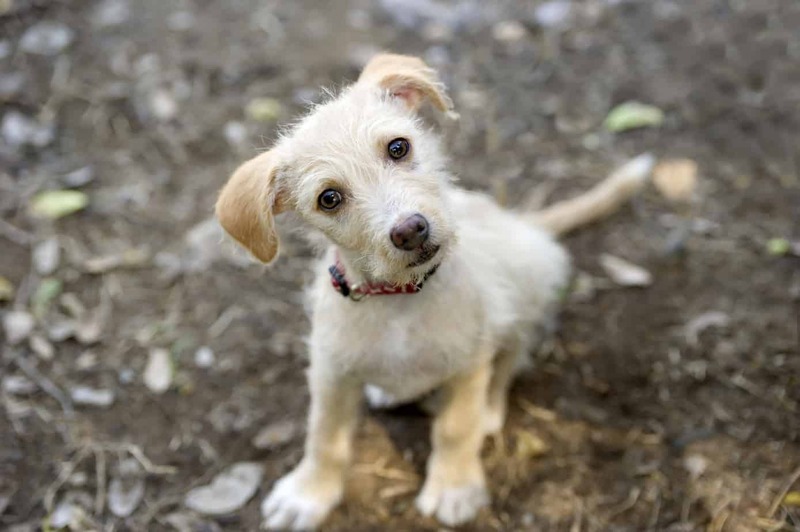 Not only do most dogs love being able to look out the window, many dogs — especially puppies who are just getting used to their new surroundings — suffer from separation anxiety that makes them eager to look outside often. If the wrong blinds are in the way, they won’t hesitate to tear or chew them down. To avoid any damage to your home and your dog’s digestive system, choose blinds that are easy for dogs to move out of the way without having to paw at them, like vertical blinds — or blinds they can see through, such as sheer blinds or wood blinds with wide spacing. If you have a particular set of blinds that you’re not willing to replace, try rolling them one-quarter or half-way up while you’re away from home so that your dog can easily see outside and not be tempted to cause damage. Although you may accommodate your new puppy in the beginning, it’s important to start training early so your puppy knows how to behave when you’re away. Crate training — locking your new dog inside their cage or crate at night or whenever you leave the house — is a fail-proof way of preventing your dog from getting into trouble while unsupervised, and it trains him to identify his crate as a safe, relaxing place to travel and sleep in. 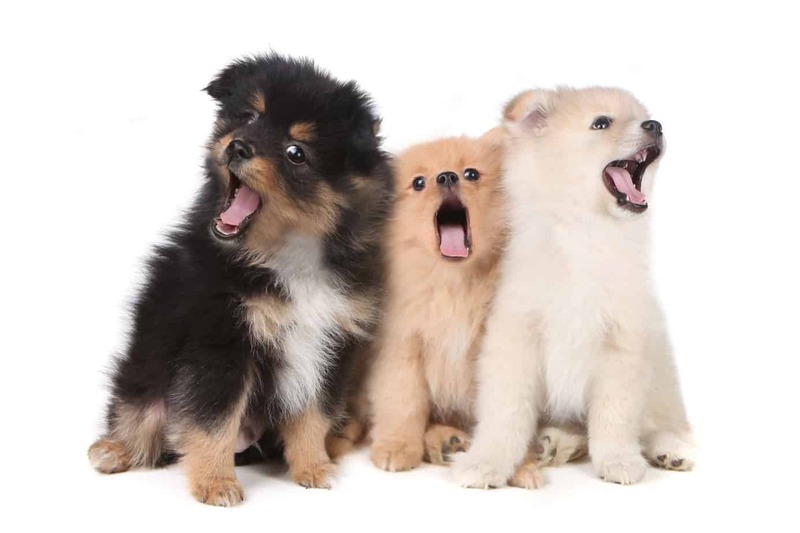 In addition, many pet stores and vets offer puppy training classes that can help you learn responsible techniques for teaching your new puppy commands, potty training him and employing ethical disciplinary measures that discourage misbehaving. Being firm with an adorable little dog can be tough, but training is an important part of reducing pet anxiety in the future. Toys. Toys. And more toys. All dogs, but especially puppies, love to gnaw on things. 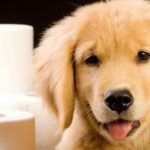 Because your puppy is likely to be in some stage of teething, make sure to have lots of chewy, fun toys around to keep her entertained and to prevent her from putting teeth marks in your furniture — or worse, getting into puppy favorites like socks and stockings, which are hazardous to puppy digestive tracts. Dog toys with additional stimuli, like squeaky toys or those that hide treats inside, are great for distracting your dog and drawing their attention away from you if you need to leave the room, easing any separation anxiety. 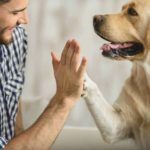 If you find that some of these tips don’t quite work for you and your puppy is being a handful, try to pinpoint what she is feeling so you can you make considered choices to correct the behavior. If your dog is constantly trying to do things it shouldn’t, ask yourself a few questions: Is he nervous? Bored? Does she need to relieve herself? Does he have too much pent-up energy? 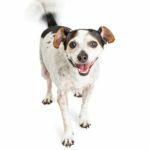 Answering these questions could mean hiring a mid-day dog walker, coming up with an anti-anxiety routine for your dog, or simply making the time to take them on an extra-long walk every evening. Puppies are joyful animals that depend on their owners to care for them and keep them safe. 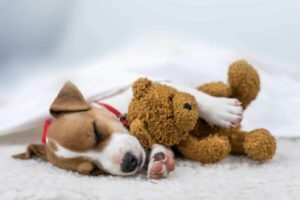 A new puppy is a full-time responsibility, but making your home a safe place for your new puppy will be equally rewarding to both you and your new best friend. Using these tips, you’ll get to enjoy every day with a healthy, happy puppy. Jordan Smith is a full-time stay-at-home mother of two daughters and new dog Luna! She loves blogging, crafting, and spending time with her family. She also enjoys strolling the streets of downtown Charleston, South Carolina, and all the amazing food her hometown has to offer.